1986: Foundation: First Ingemat headquarter in Larrabetzu Elkartegi (Vizcaya). 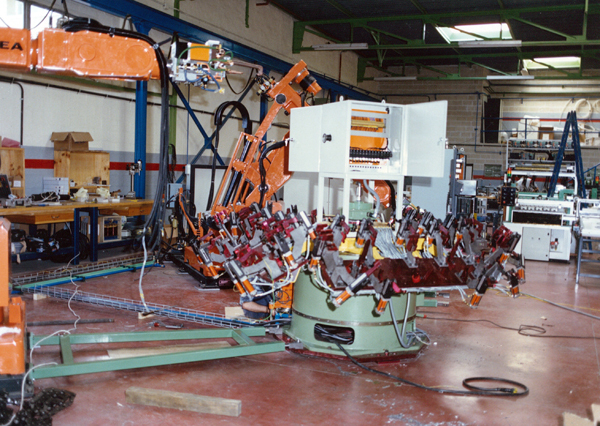 1986: First project: “Symmetric cells for welding and assembling of wheelhouses”, “Transfer line for the assembly of the Hood” and “Automatic cell for the assembly of the front central panel” of the AWE -Automobile Werk Eisenach- Wartburg model in Eisenach, former German Democratic Republic. 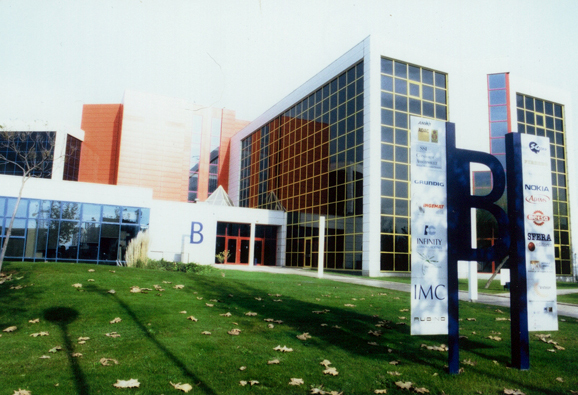 1992: Ingemat moves its Corporate Headquarters to the Technologic Park of Biscay. 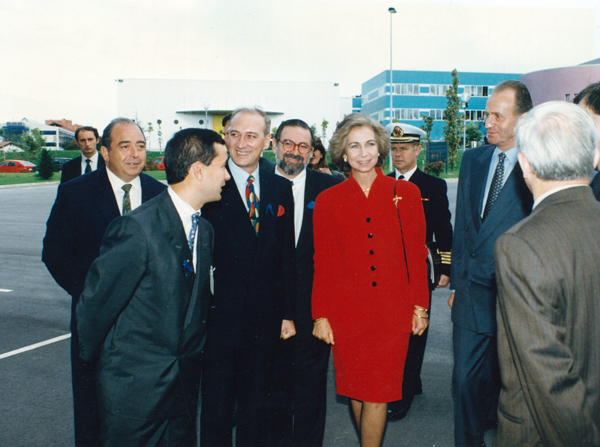 1993: The King Juan Carlos I of Spain and the Queen Sofia visit Ingemat. 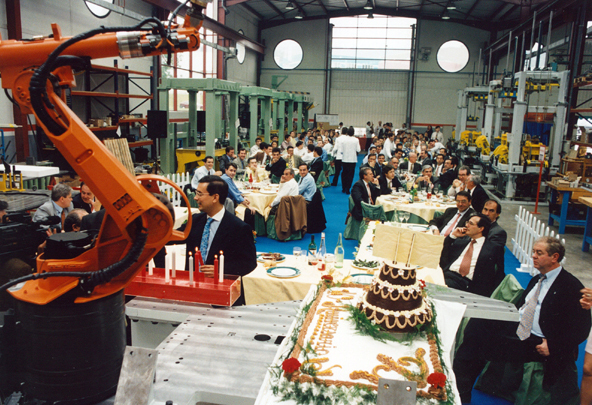 1996: Celebration of the 10th anniversary of the company. 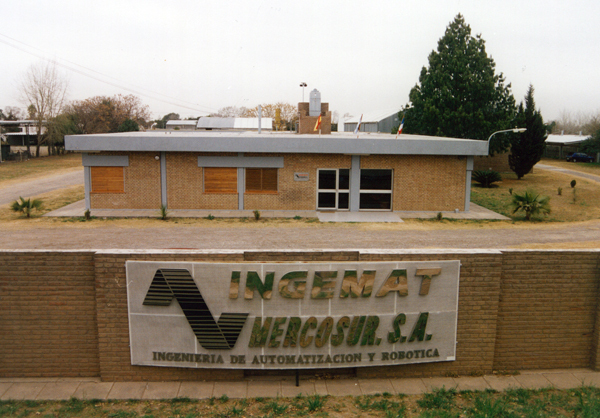 1998: Foundation of Ingemat Mercosur in Córdoba (Argentina). This subsidiary operated until 2003. 2000: Opening of a technical-commercial office in Barcelona, which was active until 2005. 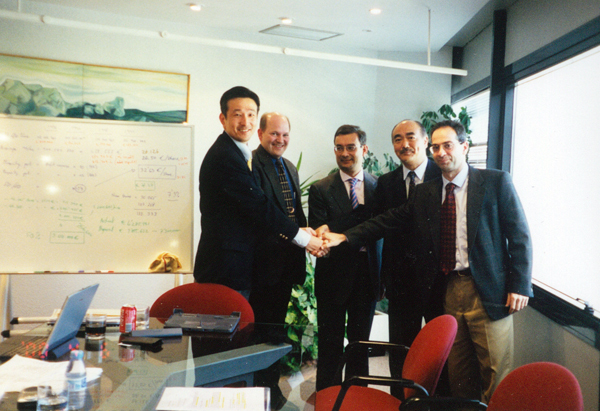 2000: Joint-Venture with Hirotec Corporation. This agreement remained in force until 2005. 2003: Strategic commercial cooperation agreement in Mercosur (Brasil, Argentina) with the argentinian company Prodismo for INGEMAT’s hemming systems. 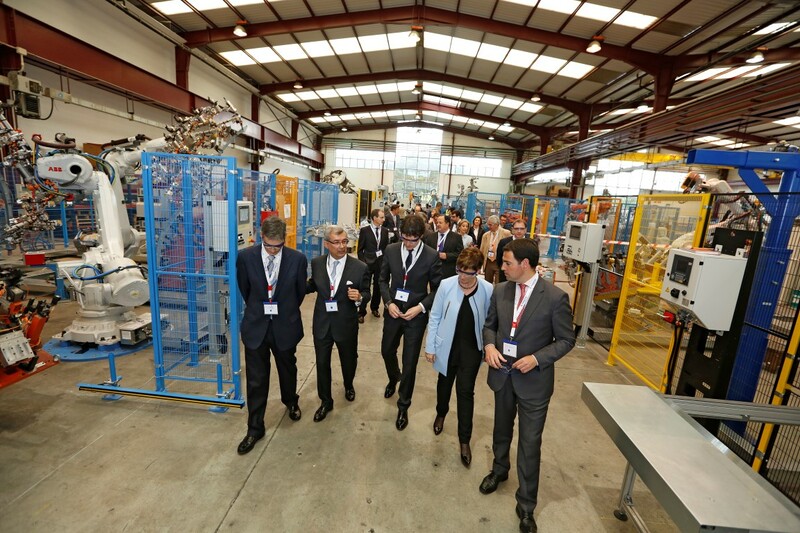 2008-2012: Sales diversification process, in sectors such as energy, aeronautics, railway and general industry. 2011: INGEMAT 25th anniversary celebration. 2013: INGEMAT makes a strategic decision to concentrate 100% in the automotive business. 2014: INGEMAT establishes an own after sales service in China for its hemming systems. 2015: INGEMAT establishes a Sales Office in Shanghai, China. - Foundation of Ingemat NAR in Mexico, in order to support our customers in Mexico, USA and Canada. INGEMAT has worked in projects for more than 30 OEMs. INGEMAT has carried out projects in more than 20 countries in Europe, Asia, America and Africa. INGEMAT’s table-top hemming technology is approved worldwide by Volkswagen Group. 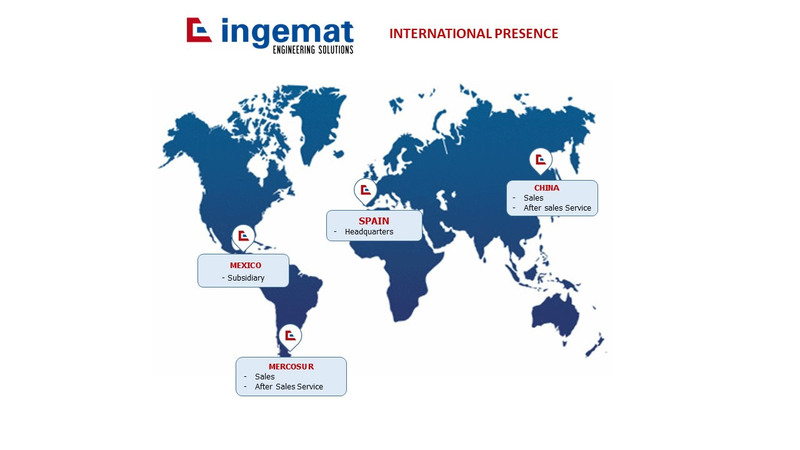 INGEMAT offers its customers a sales and after sales service in its subsidiary in Mexico, in China and a local partner for the sales and after sales in Brazil and Argentina. 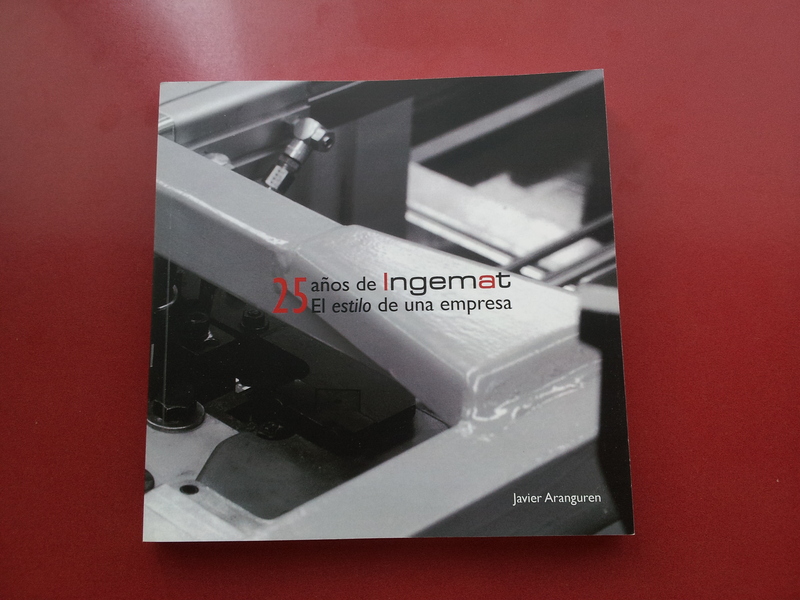 INGEMAT has sold over 600 hemming systems worldwide. The installations assembled and commissioned by INGEMAT have produced more than 50 million vehicles.